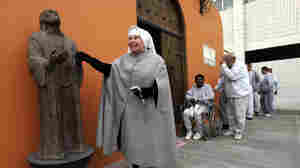 October 18, 2013  In 1977, she moved into a 10-by-10-foot cell at Tijuana's notorious La Mesa penitentiary, where she came to be known as "La Mama" by the prisoners, whom she called her children. August 27, 2013  The idea of taking a child to prison for a week may bring to mind visions of "Scared Straight" programs. But the Father to Child Summer Camp Behind Bars does just that — and the goal is to let kids bond with their fathers, who might be incarcerated far from their families. July 9, 2013  Russia has struggled for decades to control deadly forms of tuberculosis among inmates. A clinic inside a Siberian prison is finally having some success against the disease by teaching inmates to care for themselves — and their families. 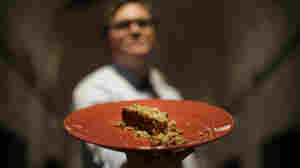 June 11, 2013  Prison food gets a bad rap, but a recent tasting at a historic penitentiary showed that prison menus of the past were less predictable and maybe even more nutritious than the institutional-style meals served in most prisons today. Some prisons are returning to scratch cooking, and are opening restaurants to train inmates in food service. March 7, 2013  When he was arrested for driving under the influence of alcohol and other charges in 2005, Stephen Slevin had no way of knowing that initial findings about his mental state would put him on a path to spend more than 22 months of solitary confinement in a New Mexico county jail, despite never having his day in court. 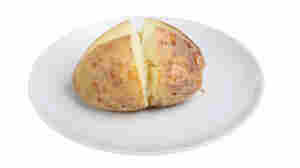 October 5, 2012  An old baked potato added to a batch of homemade booze at a Utah prison apparently led to the second-largest botulism outbreak in the U.S. since 2006. 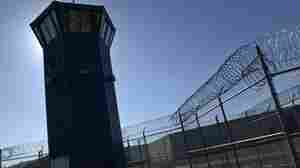 Eight inmates were sickened, and a year after treatment most still report lingering symptoms. June 18, 2012  Is the law a simple series of individual rules acting discretely on society? Or is it a complex web shaping our nation in unforeseen and destructive ways? Commentators Caryn Devins and Stuart Kauffman see trouble in our legal system. November 23, 2011  Mug shot newspapers might be a new fad. 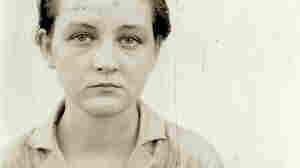 But before photos went digital, prisoner portraits were thrust into drawers, many to be forgotten. March 10, 2011  In the movies, prison guards aren't often seen as heroes. And that can mean their motivations are never examined. 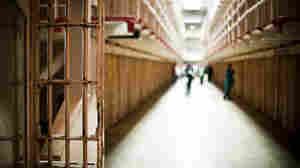 For a report by member station KALW's blog The Informant, a corrections officer at California's famous Pelican Bay Prison agreed to tell his story. January 13, 2011  Honey buns offer a microcosm of life in prison -- currency, violence, relationships, addiction. A recent story in the St. Petersburg Times offers a fascinating glimpse at the important role of a sweet snack in Florida prisons. October 26, 2010  In today's first hour of Talk of the Nation: "elite," "extreme" and other political code words, and Sec. of Transportation Ray LaHood. In our second hour, aging in prison, and a mini political junkie. Life, Without Parole. Or Books?! September 26, 2007  What books should prisoners be allowed to read?